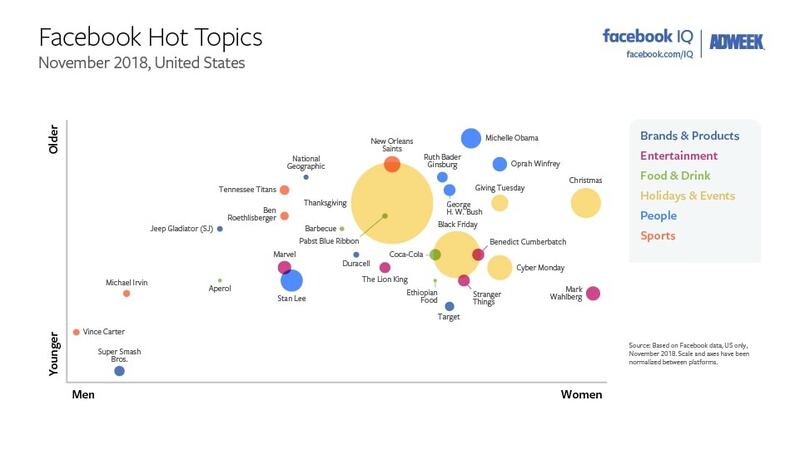 Conversation about Thanksgiving, Black Friday, Cyber Monday and Christmas thoroughly dominated Facebook and Instagram in November, according to the latest Hot Topics report from research arm Facebook IQ. Michelle Obama and the late Stan Lee topped the people category on both social networks. On the entertainment side, Ariana Grande, Sean Combs (Diddy) and Kendall Jenner heated up Instagram in November, while Facebook users chatted up Mark Wahlberg, Stranger Things and The Lion King. The National Football League’s New Orleans Saints topped sports talk on both platforms, joined by fellow NFL club the Tennessee Titans on Facebook and National Basketball Association stars Dwayne Wade and Kevin Durant on Instagram. 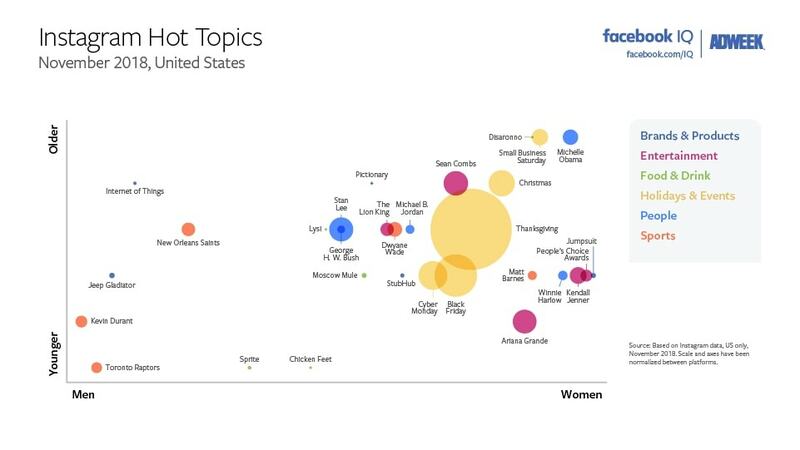 Super Smash Bros. was the most-discussed brand on Facebook in November, while Instagrammers talked about Lysi. 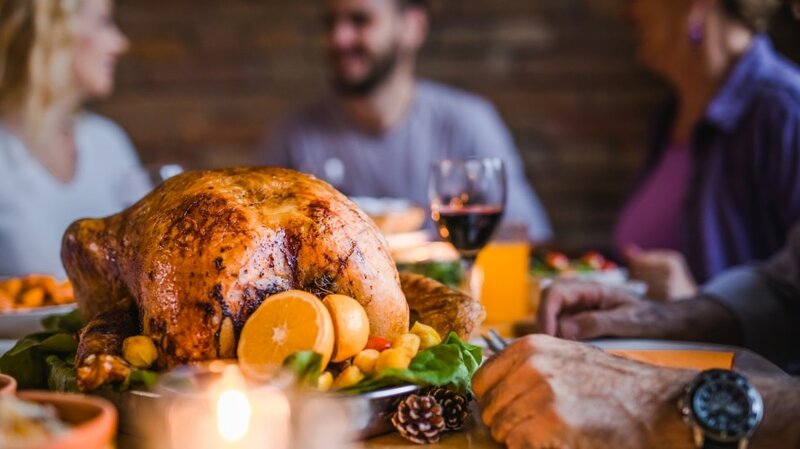 Finally, in the food and drink category, Facebook users quenched their thirst with Coca-Cola last month, while the Moscow Mule was the cocktail of choice for Instagrammers. Facebook IQ measured subjects that drove disproportionately high volumes of discussion on both social platforms, marking the latest in a Facebook-Adweek Hot Topics monthly series that began in 2015.